Munich Re has one of the world's largest global databases on natural catastrophes, the Munich Re NatCatSERVICE. Currently, it contains entries for more than 23,000 individual natural events which have caused human suffering and/ or property losses. 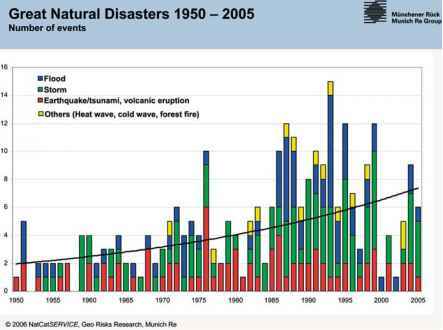 Figure 21.1 shows the development in the number of great natural disasters (causing billion dollar losses and/or thousands of fatalities) since 1950, broken down into the different perils: floods, windstorms, geophysical disasters (earthquakes, tsunamis, volcanic eruptions) and other weather-related events (heatwaves, forest fires, droughts), tte figure clearly shows a steep increase in the number of such events. While in the 1950s there were about two of them per year, the expected value has now risen to about seven. Most of the trend is driven by weather-related disasters, whereas there has been only a small trend upwards as far as geophysical events are concerned. As a result of the growing number of weather-related disasters, but also as a result of population growth and increasing standards of living with higher values at risk, the losses from such disasters have increased dramatically. As Figure 21.2 shows on a global level, there has been an exponential increase in both overall economic and insured losses (both adjusted for inflation) since the 1950s, reaching a record level in 2004, which was topped again by new loss records in 2005. 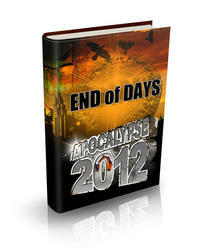 Similar to the global trends, there has been an increase in the frequency of weather-related disasters in India, too. Figure 21.3 shows the development of weather-related disasters in India since 1980. tteir number has risen from about five per year at the beginning of the 1980s to more than 20.